Oprah, Def Jam’s Russell Simmons and Meditations on Soup! When I listen to the SuperSoulSunday conversations on creating meaningful, potential-filled lives, the candor of the high powered guests is continually unexpected. There is an ease in their manner, an openness and willingness to share what turns out to be the not so secret keys to their personal successes. I am a BIG fan of Def Jam Recordings and eagerly looked forward to Oprah‘s conversation with Co-Founder Russell Simmons knowing there would be revealing tidbits of insight into the revolutionary ways that Def Jam changed the recording industry. So is it surprising to learn that meditation, stillness and actively ‘being present’ are what Russell Simmons considers his business/life touchstones? Simmons in particular adheres to a daily regimen of meditation and yoga, saying that it puts him ‘in the present’ and that ‘being present’ is where his most creative, rewarding work takes place. In our electronic, fast paced world it is a challenge to carve out those times and places that allow for stillness. My need for these quieter moments has become key to my creative work as well as my personal life. When I start my day with an early morning walk, my mind works through ideas that require quiet to cultivate. At the end of the day, swimming laps allows for a similar filtering as my busy mind focuses on each stroke which simultaneously (and wonderfully!) allows my imagination to wander. We each find the activities that bring these much needed quiet moments to our lives – yoga, jogging, reading, cooking… Ah yes, cooking. Especially when your culinary creation needs to simmer, flavours mingling as you patiently stir, then stir again. Lots of issues get worked out over the soup pot! And the good news is that, since good soup cannot be rushed, you have plenty of stirring and mulling opportunity. The easy peasy soup perfect for stirring today is one of my mother’s recipes that in retrospect she likely created for our family of seven when times were a tad lean. Given its luxurious velvety texture and surprising full flavour, we never realized it was anything other than delicious. Here is to your moments of stillness, presence and soup – and thank you Oprah and Russell Simmons for the meditative inspiration! 3. Add chopped potatoes and cover with enough broth or water to cover. 4. Add bay leaf, celery seed and simmer for 20 minutes, stirring often. 5. Once potatoes are cooked through, take off heat to cool. 6. Once cooled put in blender to make smooth or emulsify in pot. 7. Return blended soup to pot and add milk (optional), salt and pepper to taste, and heat through. 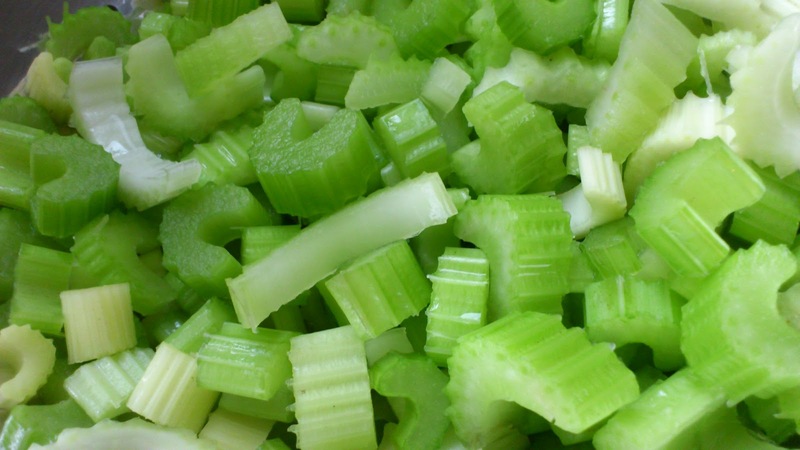 Serve warm in a bowl with chopped celery leaves on top. And as you slurp and slip meditate on the lovely moments that went into making this beautiful soup. Previous post2014 Summer Reading List!